Nicholas Winter is a young South Australian singer and actor who has been landing some impressive roles of late. Nicholas, who hails from Mitcham, has recently finished his schooling at Pulteney Grammar School and is now studying Arts/Languages at UniSA. Nicholas has had an interesting background in performing arts, which he says has inspired him to pursue performing. “My experiences have mostly been in amateur theatre, but I have had training in ballet. I’ve really enjoyed the opportunities that the companies I’ve performed with have given me. I’ve performed in a few different amateur theatre companies throughout Adelaide, including Swell Productions, Adelaide Youth Theatre and Pelican Productions,” he says. Despite possessing a natural talent as a triple threat, the 18 year old attributes his enthusiasm for the arts to his school and his teachers. “I started off dancing ballet in my Aunty’s ballet school. I guess starting then forged a passion that I’ve pursued until now. I understand it’s an incredibly competitive career, but I’m willing to give it my best! I’ve always been provided with incredible opportunities. I’ve been very lucky,” he says. Having just wrapped a production of Chitty Chitty Bang Bang as the child catcher with Pelican Productions, Nicholas is now working on an opera and a musical. “Currently I am performing in the State Opera’s Don Giovanni as a super. This has been a truly eye opening experience. Being able to watch professionals from side stage has encouraged me to be open minded and I’m starting to think of being a classical singer,” he says. Nicholas Winter remains entirely humble, despite being given some incredible opportunities to show off his skills. Studying part-time at university gives Nicholas enough of a pause that he can work on projects and go to auditions; but when he was at school last year, he relied heavily upon the support of the school. “Pulteney Grammar School is such a beautiful place. The community, teachers and parents provide the students and my fellow performers with so much support. In my cohort, there was a strong passion for the arts,” he says. “If it wasn’t for the fantastic staff and support, I don’t think I’d be the same person as I am now. The school encourages independence for students to manage their own time and if I ever had a show outside of school, it was up to me to catch up. But I don’t think I could underestimate the support and extensions I got!” he laughs. 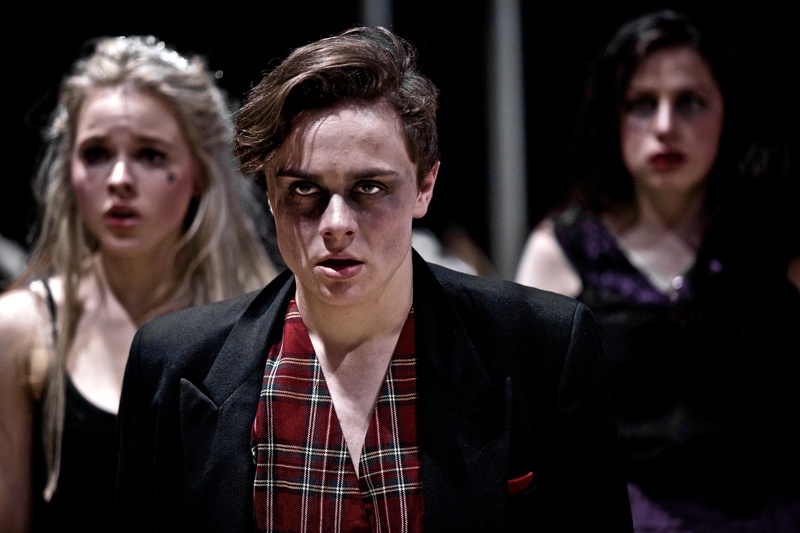 Nicholas is intent on studying at a performing arts school in the future and pursue his desire to perform full time. “As a performer, and aspiring creator, I want to create. Although it may be competitive, I am eager to pursue a dream. I am also excited to embrace luck. I’m eager to start studying and developing my craft. After this year I am hoping to start studying and developing my craft at an acting school somewhere in Australia,” he says. Look out for Nicholas Winter on the stage and screen, now and in the future; he’s an ambitious young man with a whole bag of talent. Posted in Community and Family, Film, Music, The Arts, Theatre, What's on in Adelaide and tagged Adelaide, Nicholas WInter. Bookmark the permalink. Thanks Matthew. We do try our best! As always, a great piece on the great talent in Adelaide.